When invited to explore Cooper Hewitt’s collection, I was immediately drawn to its African textiles. My design process is strongly connected to the way I respond to a physical environment—topography, climate, vegetation—as well as to the human, historical, and cultural aspects of a place. Textiles, which are a vital element of the visual language of West Africa, embody this interplay between geography and culture, and are rich sources of inspiration for my design work. The nature of the available local materials, such as plant fibers and dyes, defines the textiles’ construction. 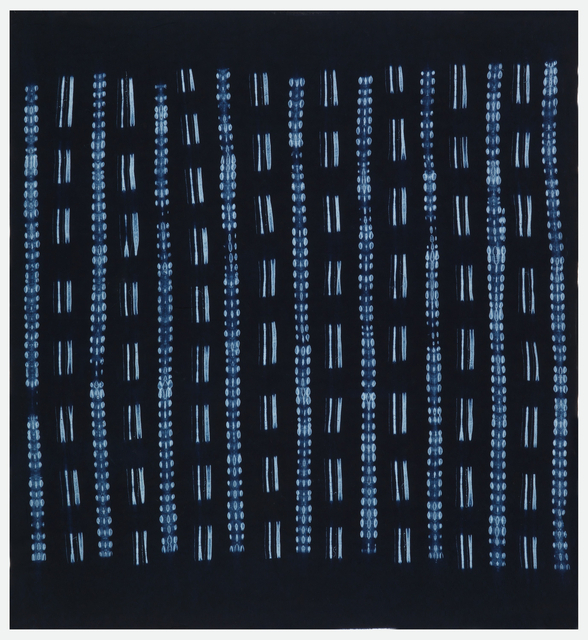 Yet the creators of these textiles have combined these materials with varied techniques to express a diversity of visual, conceptual, and spiritual ideas. Materials and ideas imported from abroad or through trade within Africa are also reused and reinterpreted, revealing an evolving story of creation, adaptation, and change. Like architecture, textiles protect, enclose, and communicate the identity of their users. 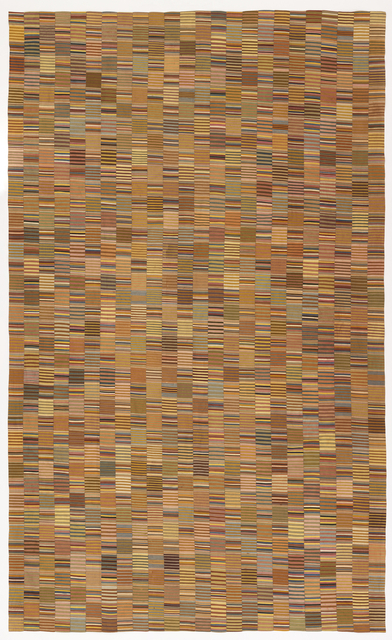 Through color and scale, organization and repetition, their patterns exert power over how we perceive space. In my design for this exhibition, I chose to call attention to the abstract and architectonic qualities of the textiles. I hope to offer new ways of thinking about space, in which seemingly disparate historical legacies can be unified and recombined to create a dynamic, globally relevant whole, one that acknowledges the contributions of African vernacular culture to a broader, more inclusive definition of modernity. 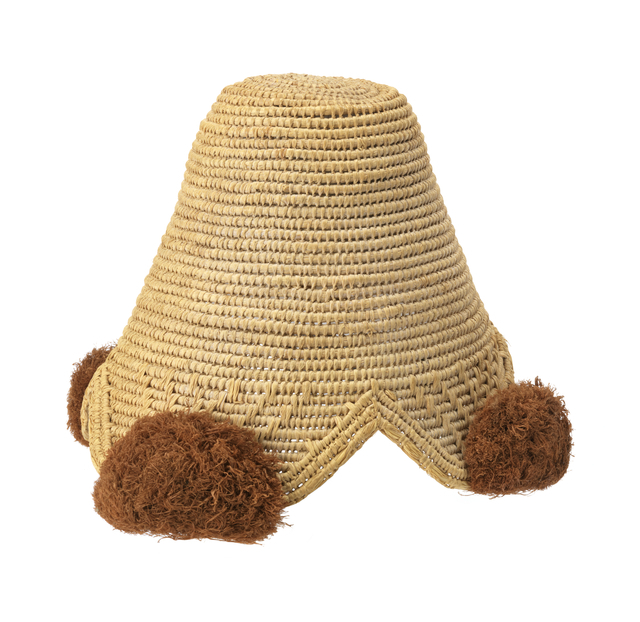 Among adult Kuba men, the most common type of headwear is the laket, characterized by four lobes at the lower edge. Its subtle ornamentation may include small amounts of dyed fiber and openwork embroidery, as seen here. 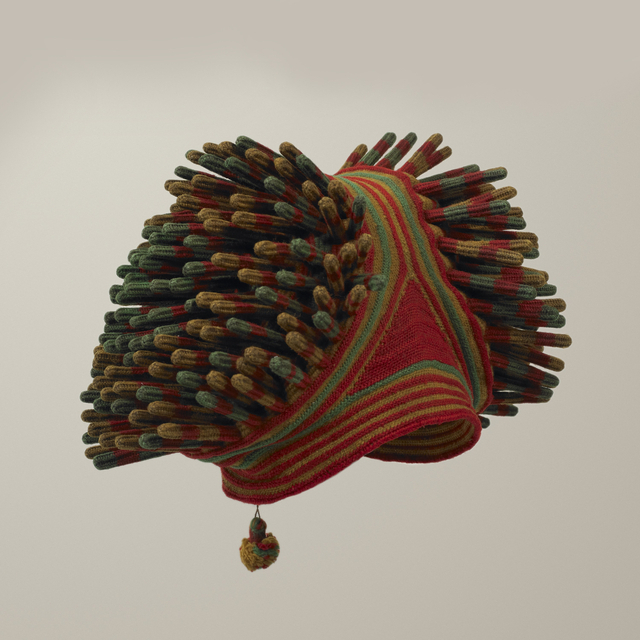 Laket caps with large raffia pompoms on each lobe are worn exclusively by titled soldiers known as iyol. These conical caps may be further embellished with cowrie shells, feathers, or animal skins as additional titles or honors are conferred. 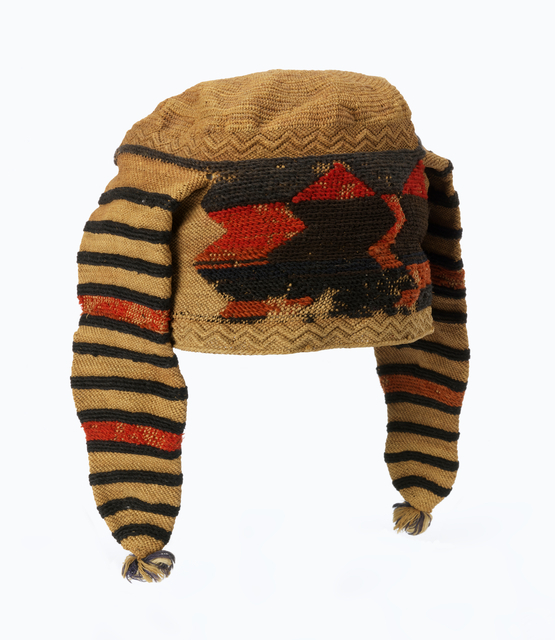 This exquisite cap of office features two striped jimbinga or horns, a dynamic pattern of red and black triangles inlaid in wool, and zigzag borders formed in raised knots. The cap may have two or four horns, depending on the status of the wearer. 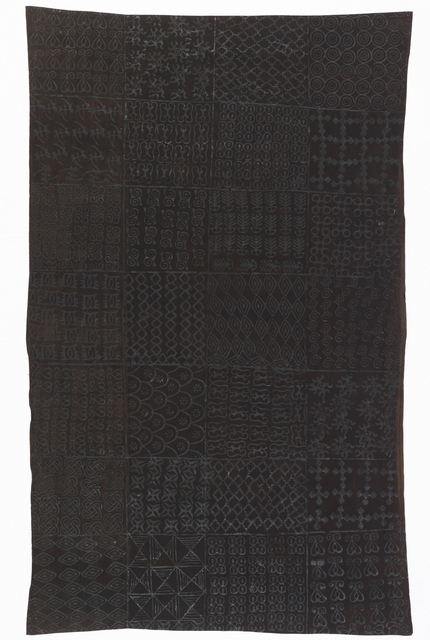 Adire’s delicate tracery of white forms is sewn into cotton cloth with a needle and raffia fiber. When dipped in indigo, the raffia resists the penetration of the dye and the embroidered patterns are recorded with an absence of color. The symbol-language of adinkra is a potent example of a graphic system used to communicate and reinforce commonly held ideals among community members. 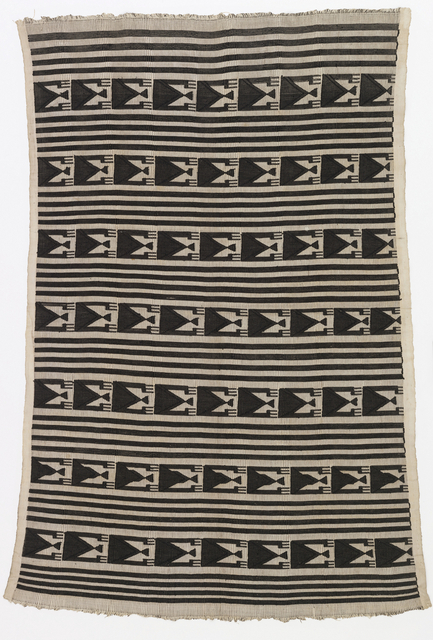 Traditionally worn for funerals, the selection of symbols and their placement on the gridded cloth are understood as a form of communication between the living and their ancestors. Kente cloth is woven in a single continuous strip, which is then cut into identical lengths. A checkerboard design like this one requires the weaver to carefully measure each pattern block while weaving to ensure that they align correctly when sewn together. The pattern is called susudua, for the measuring stick he uses. The Yoruba head wrap, or gèlè, is pleated, pinched, tucked, and spread into a new form with each wearing. 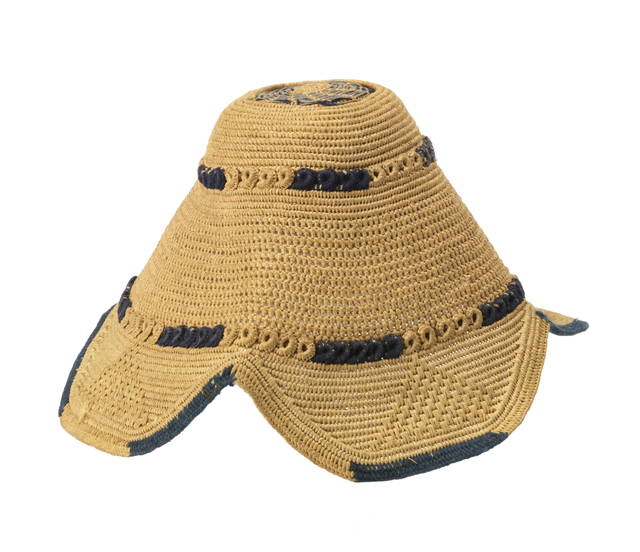 This hand-woven local cotton has enough body and stiffness to create dramatic sculptural forms. Because the inner head is seen as the center of individuality and spirituality, a beautifully adorned head honors the sacred self. 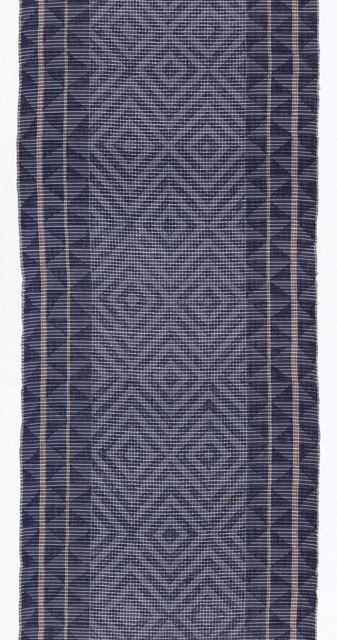 This dramatic black-and-white Akwete cloth uses bands of a single motif, a variation on the ikaki or tortoise pattern. 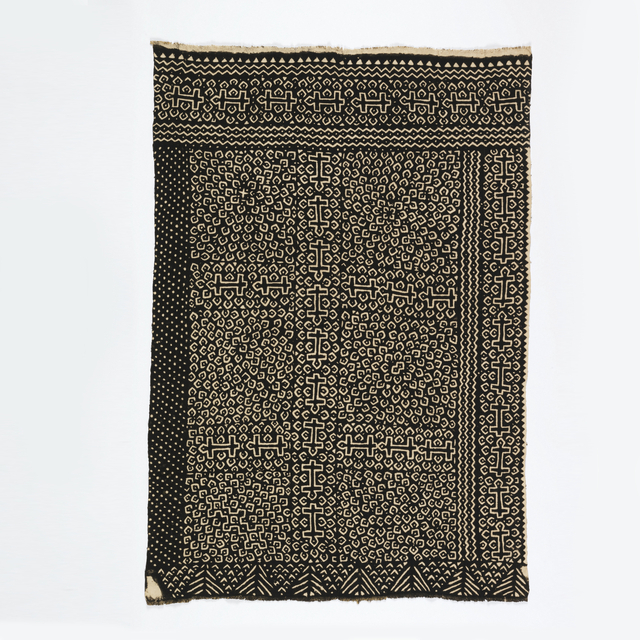 The cloths are primarily woven on commission from patrons from the Eastern Niger Delta, where they play a prominent role in girls’ coming-of-age ceremonies and funerary displays. The graphic effect of this wrapper is created using the ikat technique, with its characteristic blurred transitions. Before weaving, the warp yarns are tie-dyed in two contrasting stripe patterns—one predominantly blue and the other predominantly white. The woven strip is cut and the pieces sewn side-to-side, carefully aligning the patterned areas to create a checkerboard design. The subtractive process by which Indian madras becomes pelete bite is a transformative one. Kalabari women selectively remove threads from the simple woven plaids or checks. Often the lightest and brightest threads are removed, leaving a striking dark geometric design on a lighter checked ground. Sewing machines were introduced to West Africa around the turn of the last century, and were quickly adapted to the creation of adire fabrics. Cotton shirting fabrics are pleated by hand. Rows of stitching are made near the folds, creating straight or curving lines or dashes, before being dyed in indigo. Bògòlanfini (“mud cloth”) is made by a painstaking process that belies the seeming spontaneity of its designs. The white marks are reserved in the undyed cotton, while iron-rich mud is painted over the entire background two or three times to color it a rich brown-black. The ashetu hat supports projections or burls on each side, which reflect the tufted hairstyles once worn by high-ranking men. These projections are also seen as physical manifestations of the inner head, considered the center of intelligence and spirituality. The hat’s bold colors are those of independent Cameroon’s flag. 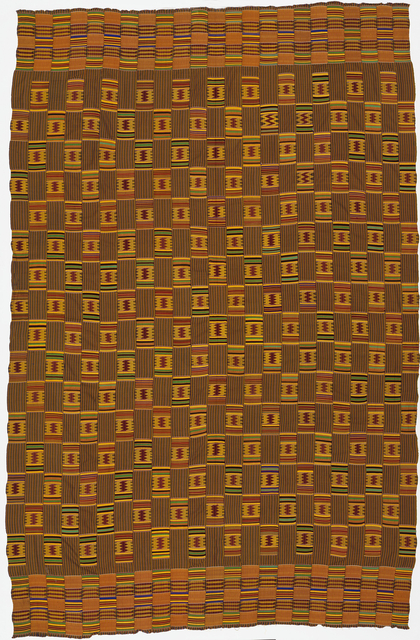 Kente prestige cloths are one of West Africa’s most important forms of visual expression. Worn at religious celebrations, festivals, and for important life events, the cloth’s voluminous size, radiant colors, and lively patterning ensure a majestic appearance. 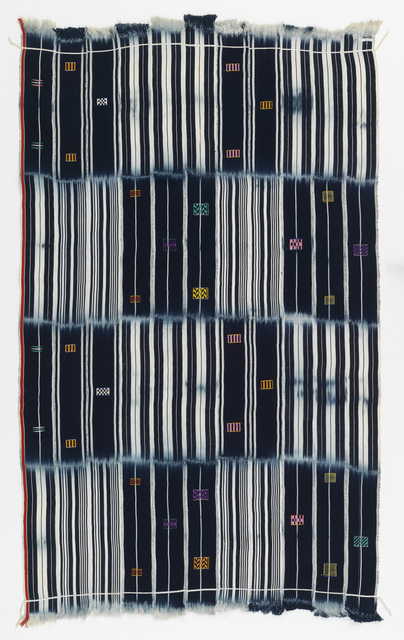 This cloth is composed entirely of weft stripes, a design common to Ghana’s coastal region.